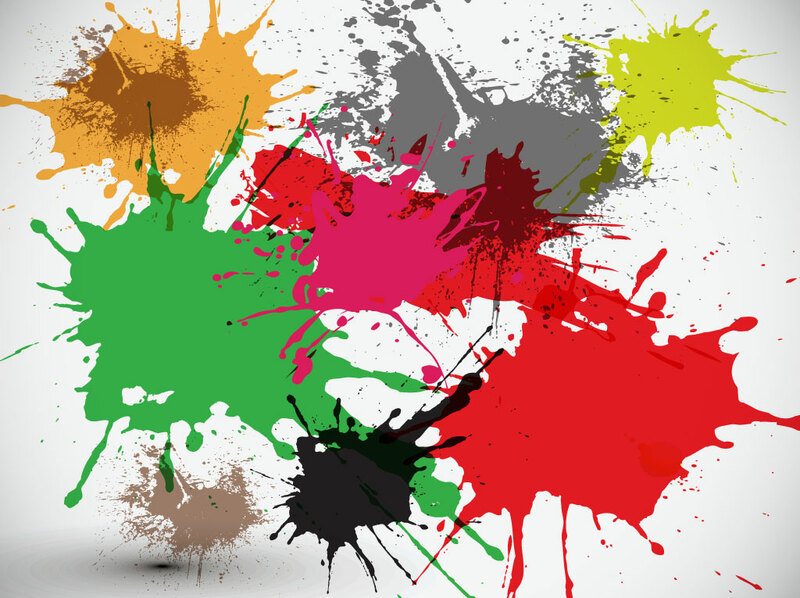 Painting spots and splatters vector in diverse vivid colors. Abstract composition of colorful paint splatters set on a gray background image with drop shadow. This free vector art download has a nice color scheme and can be used as graphic backdrop for your digital art designs or separate the splatters for your Adobe Illustrator scatter brushes and textures. Tags: Artistic, Blot, Creative, Fluid, Liquid, Painting, Shapes, Splat, Splatters.